Our Superyacht division is headed up by our Senior Consultants Adam Whittle and Patrick Yeoward. Adam joined Brookes Bell in May 2016 from one of the world’s leading average adjusting firms. He started his adjusting career with Richards Hogg Lindley in Liverpool in 2006 first working on freight forwarders and cargo liability claims before joining the hull and machinery team as an Average Adjuster. He moved to London in 2008 to specialise in superyacht claims. He has worked on hull and machinery claims, casualty management, hurricane claims management, third party claims, environmental damage claims, fraud investigations, subrogation, claims consultancy, business interruption and claims outsourcing for Lloyd’s Syndicates. Adam returned to Liverpool and joined Brookes Bell to develop our superyacht consultancy business. He brings with him a wealth of claims experience as well as an understanding of all areas of the superyacht market, which enables him to liaise with all parties involved following a superyacht incident, minimising inconvenience to our clients. Adam is an Associate of the Association of Average Adjusters, a Member of the Chartered Insurance Institute and currently working towards his ACII qualification. Patrick has been working in the Superyacht industry since its inception, having sailed across the Atlantic for the first time in 1983. He then worked his way up to run yachts, becoming a Master of Yachts (3000t) in 2001. Following this, he then became Master on vessels of various sizes on most of the world’s oceans before hanging up his ‘sea boots’ in 2010. Since then he has focused on the build, refit and ongoing maintenance programs of Superyachts, acting as Owner’s Representative and/or Project Manager. He has worked with shipyards throughout Northern and Southern Europe, Australasia and the United States on projects of varying size and complexity. During the course of his work he has developed close working relationships with naval architects, interior designers, rig designers and manufacturers, classification societies and Flag. Patrick has also represented superyacht clients in large arbitration cases, where he has turned complex accounts into presentable packages and supplying testimony on issues and solutions. He brings an in-depth knowledge of the superyacht lifecycle from the construction period through to the operation and maintenance of Superyacht. Our multi disciplined in-house experts all work together to offer independent and impartial expertise, experience and advice for a speedy resolution. Our marine engineers are all highly qualified and have a combined experience of more than 100 years in surveying and investigating the cause of machinery failures on various types of craft including some of the most high-profile superyachts in the world. Our engineers also have many years of practical sea-going experience mostly as Chief Engineers. The Brookes Bell team of 12 marine engineers are located in the UK and Asia but frequently travel globally depending upon a vessel’s location. Brookes Bell's highly-qualified team of 11 naval architects and 6 software engineers are located in the UK and Asia. Three of our naval architects have PhDs in their fields and are regularly published in the industry press. Our software engineers, working alongside our naval architects and marine engineers, can apply state of the art software tools to advance high performance and weight-saving solutions in superyachts or on the safety side, "Safe Return to Port" solutions. Our 10 master mariners have direct command experience in handling a diverse range of vessels. Their years of practical sea-going experience enable them to work alongside our marine engineers and naval architects and give their input from a command or operations point of view. Metallurgy is a branch of science and engineering relating to the study of metals. By understanding the fundamental behaviour of metals, our metallurgists can determine how a component or structure should react in a given environment or under certain mechanical loads. The Brookes Bell team consists of 3 metallurgists and 1 tribologist. Our NDT technician has worked on a number of large Superyachts providing reports to both owners and shipyards and advises on all aspects of condition assessment surveys, forensic investigations and latent defect identification. 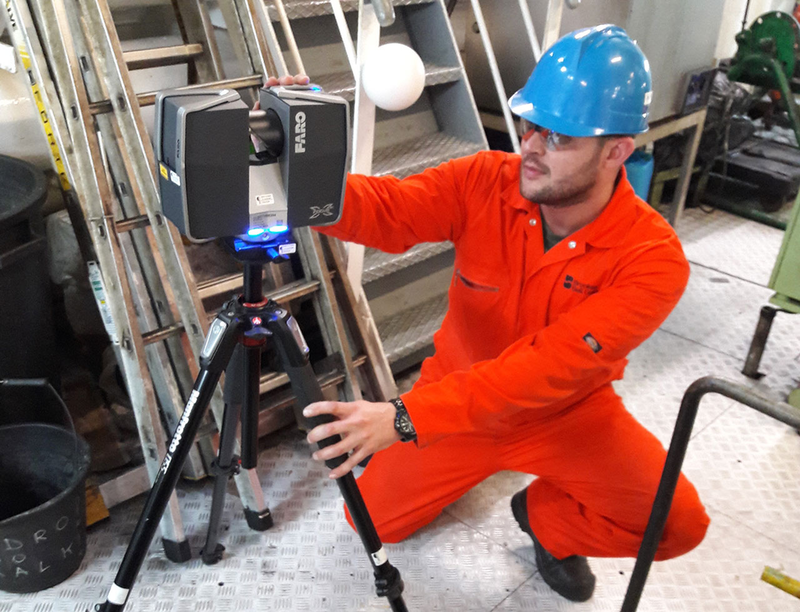 Our NDT team provide reporting of the highest standard, consultancy services and procedure review for non-destructive services. Our team of fire investigators are highly qualified, experienced and drawn from multi-disciplinary backgrounds including physics, chemistry, thermodynamics and material sciences. Undertaking marine investigations in Europe, Africa, Australia, the Americas, India and the Far East, the Brookes Bell Fire Investigation Team has investigated many fires on superyachts and can also advise in the design stage as to which fire suppression systems would be most suitable and also which materials to avoid. Our multidisciplinary team have extensive experience working with confidential information and we handle all enquiries, claims and project details with the utmost discretion.